Water Activated Gummed Tape with a Coupon. Promote your website with a discount coupon on every package you send as a way of thanking your customers. 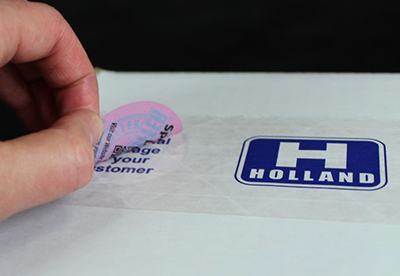 Along with their high quality sealing tapes, Holland now offers a way for companies to offers special messages to be added to the tape. Water Activated Tape that incorporates a redeemable peel-able coupon. Advertising on every carton you ship! 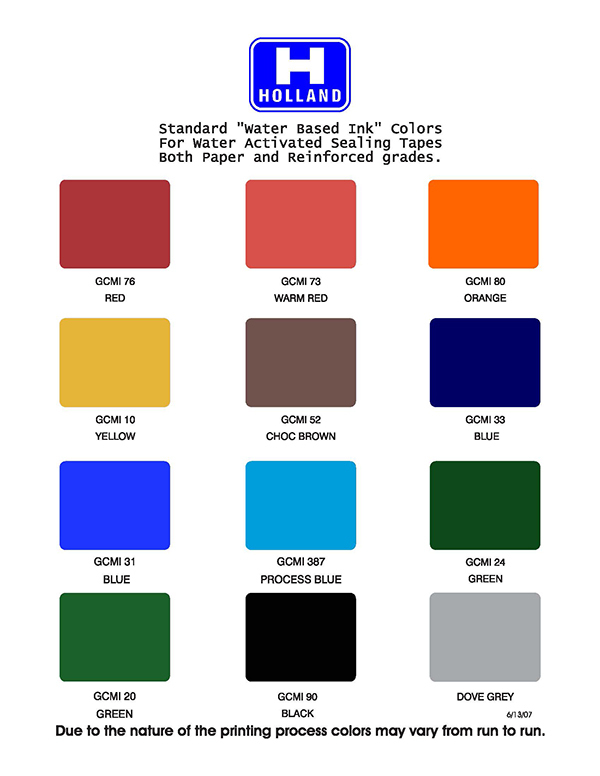 Water Activated Tape is custom printed with branding information. Specialty labels are printed on two sides with a message and a concealed offer or promotion. Labels are applied to the tape at a set distance from one another. Labels are designed to peel cleanly from the tape surface without any residual adhesive on the coupon. The resulting coupon can easily be redeemed based on set instructions. Rewarding your customers for their patronage, peaking their curiosity with an interactive engagement with your packaging, turning your package into a marketing platform. What this means to you with your customers? Reward your customers, keep them coming back by providing incentives for your customers to order again with a promotion they are assured to receive and engage with. Consistent Branding, Variable Offers to retain the consistency of your brand image with custom printed tape while incorporating a variable promotion intriguing your customers. Cross Promotion to promote your other products while retaining your brand image. Engage other vendors to contribute to the marketing effort. 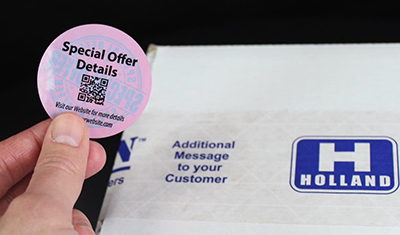 Marketing with no additional effort with the secure closure of the WAT COUPON, your marketing is embedded in your packaging with no additional steps or time. Price range: $175 - $225/Case based on 1 color printed tape with 2 Color coupon. $75 per plate for coupon. $150 per plate for tape. 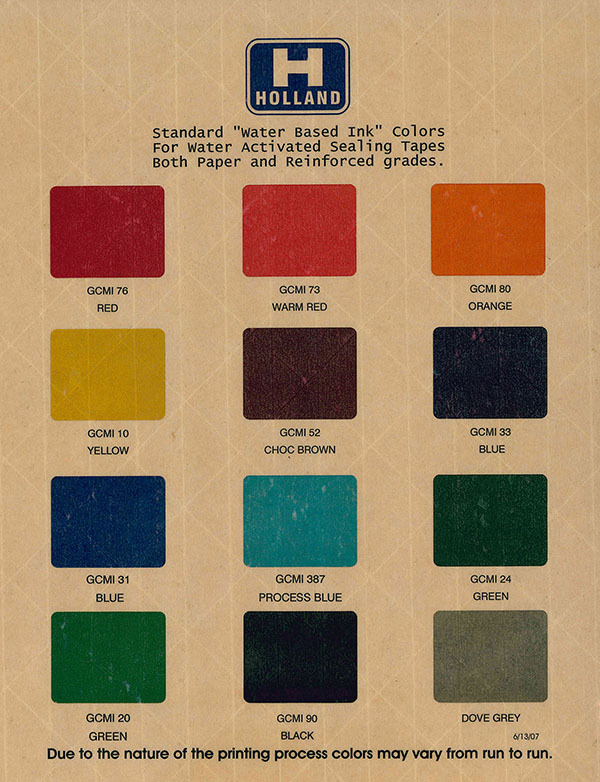 Holland GCMI colors are free. Pantone PMS colors = $100 per color per order. White tape vs. natural tape. 12” vs. 18” repeat of the WAT coupon. Colors may vary on final product. These are for sample purposes only.